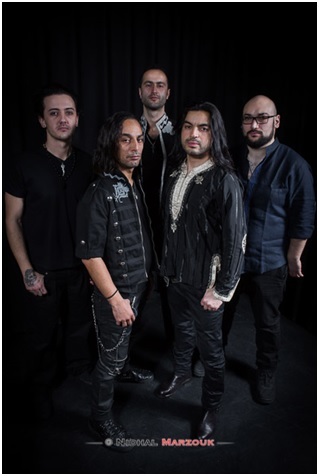 If you have yet to be introduced to Myrath, they are an oriental metal band originating in Tunisia before setting up base in France. Their top spectacles incorporate belly dancers, magicians, fireworks, and musical precision. On May 3rd Shehili, meaning a hot wind coming from the desert, will be released via earMUSIC. 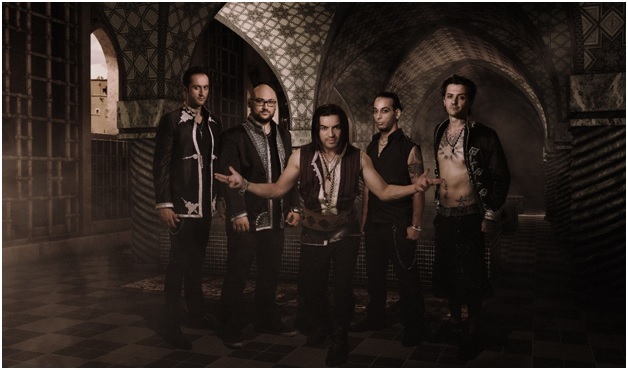 Myrath has previously discussed the new album being simpler but not simplistic and defining a new genre of music, Blazing Desert metal. A sure sign of a band maturing is knowing when to show restraint. Thus far with the singles released there appears to be a theme of freedom. Dancing is associated with liberation and “No Holding Back” is an overt title. Do you think being from Tunisia and having ties to France, a politically charged nation, gives you a different perspective of freedom? Freedom concept is different from country to country, even between European countries. To be honest I felt myself as free in Tunisia as if I were living in France. And maybe more today. Freedom means to be respectful with others and respect that people can have different ways of thinking. I’m not into politics at all but from what I’ve seen for a few months now and the French “Gilets jaunes,” I have the feeling that French people are trying to re-equilibrate the concept of egality and freedom in France today. Tunisia is now (since Jasmin spring) a new country, even if we still face lot of difficulties to grow our economy. I love Tunisia as I love France, for different reasons. Kevin Codfert (Myrath long time producer), Jens Bogren (Opeth, Dimmu Borgir, Sepultura, Arch Enemy, Soilwork, etc. ), and Eike Freese all assisted in producing Shehili. What was it like having so many eyes on the project? I would think it could get frustrating at times. 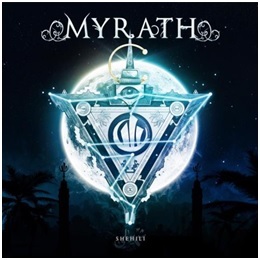 It was the best thing to happen for Myrath in a long time. 3 producers, 3 different sounds, 1 single vision. We learned a lot working with Kevin Jens and Eike because we had the opportunity to make rain thousands of ideas. It’s like having the opportunity to have fresh ears every morning. And it helped a lot. For example: on “Monster in my Closet” you’ll find a mix of really organic and groovy which fits the song (Eike), “No holding Back” has a huge symphonic sound with big drums (Kevin), and on “Lili Twil” is it chirurgical and precise but with lot of emotions (Jens). Shehili was originally completed with different drums and then you rerecorded them to better suite the project. If I’m correct, the label wanted organic sounding drums; leaving in the imperfections, while disregarding samples and avoiding over-editing. How do you think redoing the drums affected the final product? and samples allows you to make it good for almost nothing. So, for the first version of the album, drums had been recorded in a very small studio. Edel listened to the album and told us that the album deserved much more. So, they decided to rent a real big studio, Chameleon Studio – Hambourg, and gave us the opportunity to spend as many days as we wanted to record real drums with no editing, no samples. Just a real player. It was a blast… The result is over all our pronostics. You know, when you start as a musician, you try to optimize every expense, and you tell yourself that you will never afford a real room with real drums. Thanks to Edel, we did it, and it changed everything. The groove, the songs, the emotions, almost everything…. 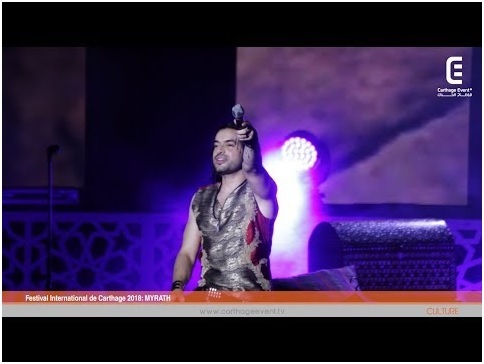 You captured Myrath’s performance as the first metal band to attend Concert Unique au Festival International de Carthage. Clips of the event are memorizing, hearing distinct oriental influences in metal is something new for myself, but seeing both worlds mesh on stage is something I’d love to see live. Is that level of performance representative of the type of show you bring on tour? We are working on it. You know, in Tunisia we can afford playing in front of 7000 people, headlining. It means being capable of inviting real extra musicians, belly dancers, etc. A real show cost a lot of money but our goal this year is to propose this for Wacken and Sweden Rock fest. Let’s cross fingers. When can fans expect to see the full DVD/Blu-ray release? It depends on when Edel wants to release it, but I’m pretty sure it will be 2019, begin of 2020 maximum. You’ve already announced 2019 appearances at Wacken and the Sweden Rock Festival. What else can fans expect from Myrath this year? We are actually hard working on potential routings all over Europe for 2019, we will announce something very soon. Thank you for filling us it at Metalheads Forever! Best of luck.